Talk about the Internet of things (IoT), and its ability to bring unparalleled efficiencies to all industries is intensifying. But what exactly does it look like in practice? And how can different industries, from transport to utilities to councils and governments, access and implement true IoT solutions? We outline some recent IoT projects that we’ve delivered for clients to show how affordable, scalable and flexible it can be. In a lot of cases it is the same technology, that’s been tailored to a different context. Brief recap: what is the IoT? According to IBM the IoT is broadly the concept of connecting devices to the internet, to each other and to people. A common characteristic of IoT solutions is that they are low cost and quick to implement. Intelligence and action – The collected data must be analysed using either humans or artificial intelligence. The action taken as a result of this analysis can also be human or machine decided and executed. 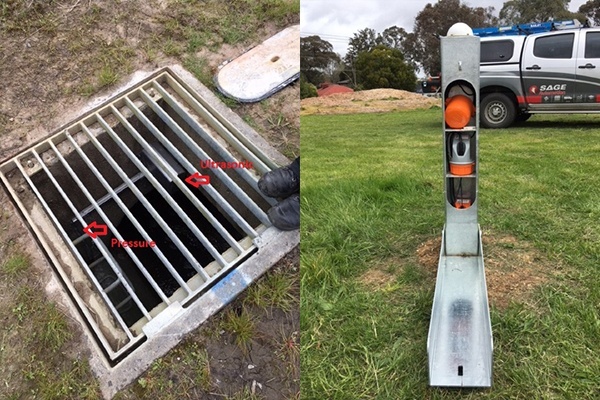 Challenge: Melbourne Water wanted to monitor a number of sites that that are typically below ground and/or low lying assets to assist in providing a higher level of service to its customers. These sites had previously been unmonitored due to challenges in access, location and power. The project needed to select, test and implement low cost monitoring hardware that would not require mains power, would connect to the clients' existing IT infrastructure and if possible, roll out within a reasonable time frame and at a lower cost. Solution: SAGE helped delivered remote monitoring for 70+ below ground and low-lying assets through its cloud-based SCADA interface ‘STRATUS’ and specially configured monitoring hardware. The cloud solution allowed fast roll out without the capital infrastructure outlay. One of the sites had hardware supplied, configured and installed within 24-hours, illustrating how quickly this cloud-based infrastructure can be used. Outcome: The client achieved increased visibility of its sites for improved customer experience, environmental management and reduced capital expenditure. A number of other monitoring sites are underway. 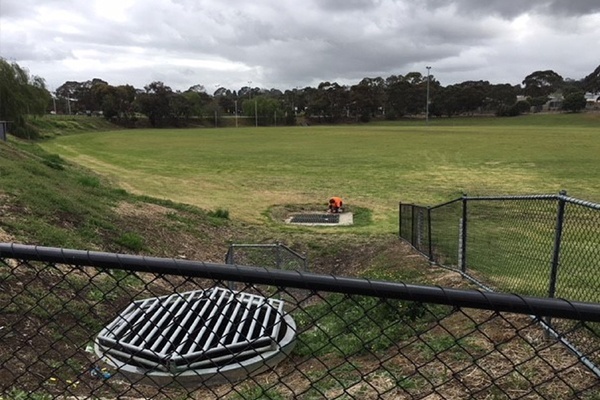 The solution won the Victorian Australian Water Association Infrastructure Project Award in December 2018. Technologies / communication: Metasphere and 37South RTU-Datalogggers, 3G networks, Sigfox, cloud-based SCADA, ClearSCADA, Amazon AWS. Challenge: Fortunato Group were constructing a new man hole for a water retailer. The manhole was ‘live’ during construction and as such, it needed to be monitored to identify potential spills. Because the site was still being built, the water retailer did not have visibility of the site’s status and was not yet responsible for it. Solution: SAGE came up with a temporary IoT solution to give Fortunato Group the ability to monitor the asset, at a fraction of the time and cost that traditional solution would require. It rented an RTU-Datalogger with two float switches that communicated back to SAGE’s cloud-based SCADA system ‘STRATUS’ to provide alarming data. If the well level rose past a float switch, an alarm would be sent via email and SMS to Fortunato Group to react before any spill could occur. Because the solution was temporary, the rented hardware and cloud SCADA-as-a-service were an ideal fix. 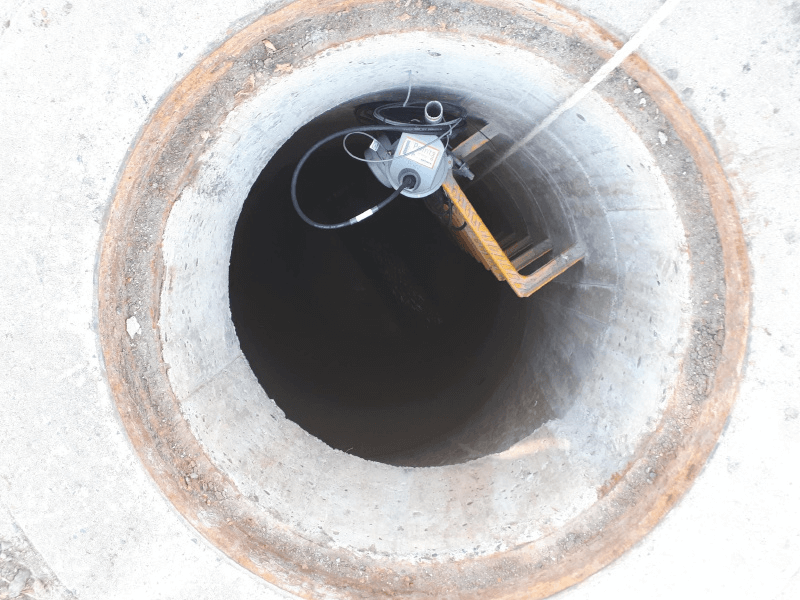 Outcome: Fortunato Group gained full visibility and control during construction, ensured the safety of their onsite staff, and could confidently handover the completed manhole to the utility within an affordable financial outlay. Technologies: Metasphere RTU-Datalogger, 3G networks, cloud-based SCADA, ClearSCADA, Amazon Web Services cloud-based platform. 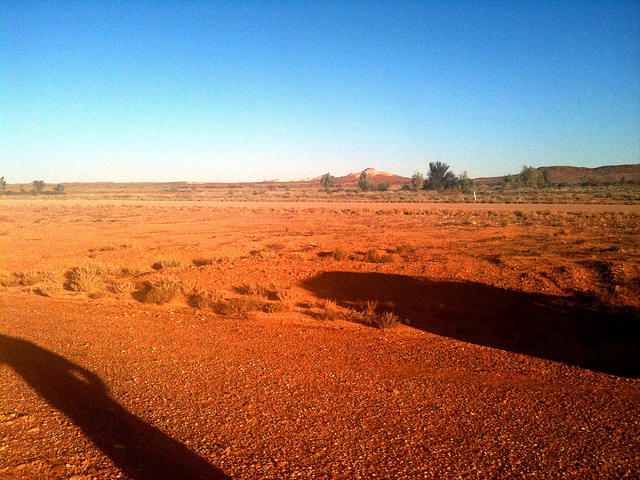 Challenge: Australia’s remote communities get their power from isolated microgrids that generate electricity. Our client manages dozens of these microgrids, some of which are a 12-14 hour drive away from any support. This distance makes it extremely challenging to quickly diagnose and fix power faults and maintain power infrastructure. Previously, the sites have only been remotely accessible via satellite links which have high ongoing connection costs. The advent of the NBN Skymuster satellite reduced the cost to connect these sites by a factor of 10. This offered the client a new, affordable remote connection opportunity. Solution: The client is connecting 13 remote microgrid sites to a cloud-based SCADA system for remote motoring and control and alarm management. SAGE is delivering this for all 13 sites from conceptual design, internal architecture and security approvals, to the SCADA, RTU and network communication prototype and engineering, right through to site testing, commissioning and operator training. Outcome: The client will have 24/7, affordable, real-time monitoring for all 13 sites – at a much lower cost than the traditional communication method. Now, they can respond to outages or faults quickly through remote fault diagnose, alarming and preventative actions. Gaining real-time usage data will allow the client to assess the suitability of future solutions such as solar. Technologies: SCADAPack 335 RTUs, Cradle Point IBR1700, Amazon Web Services cloud-based platform, ClearSCADA. Challenge: During civil construction works, radios are often used coordinate roadside signals to be displayed on signage. With any radio network, radio performance needs to be monitored to ensure the system, and transmitted data, is reliable. Because this was an isolated radio network, a remote secure connection was required to monitor the radio network performance. The client wanted to trial an IoT monitoring solution. Solution: A remote secure 4G modem using a VPN connection was used to obtain the localised radio network performance and feed back in to SAGE’s cloud based SCADA system ‘STRATUS’. Every minute STRATUS collects each of the radios’ performance data for analysis and alarming when required. Users can login to the SCADA dashboard via internet browser and view performance data live. Outcome: The road authority has the ability to see if their radio networks are working. 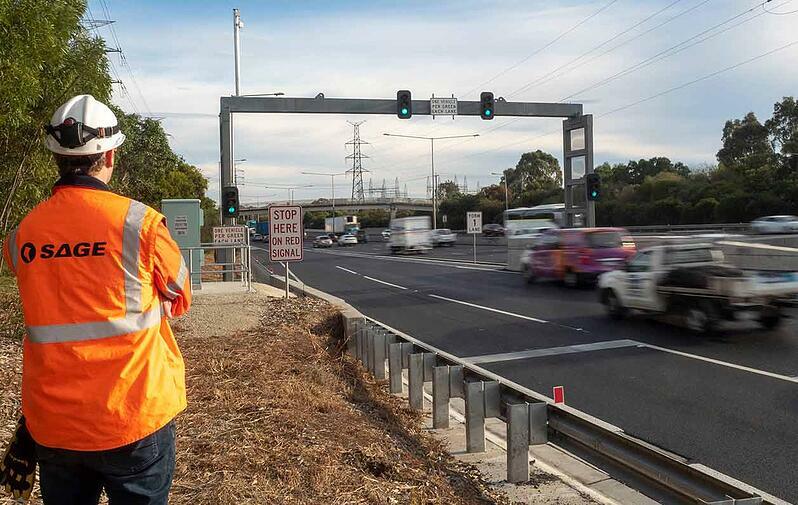 This assurance means their on ramp signalling is reliable, and commuters and civil works people are safe. A solution of this kind without a cloud-based SCADA would not be feasible in this context. The IoT cloud-based solutions offered the answer. Technologies: VPN, 4Gx network, cloud-based SCADA, client side ClearSCADA, Amazon Web Services cloud-based platform. Gaining an understanding of how public amenities and spaces are used will help improve services. Challenge: The council is seeking to gain more understanding of how people use council amenities and public spaces. In particular, it wants to count the number of people who visit parks and retail precincts and understand how they move in and out of these areas. 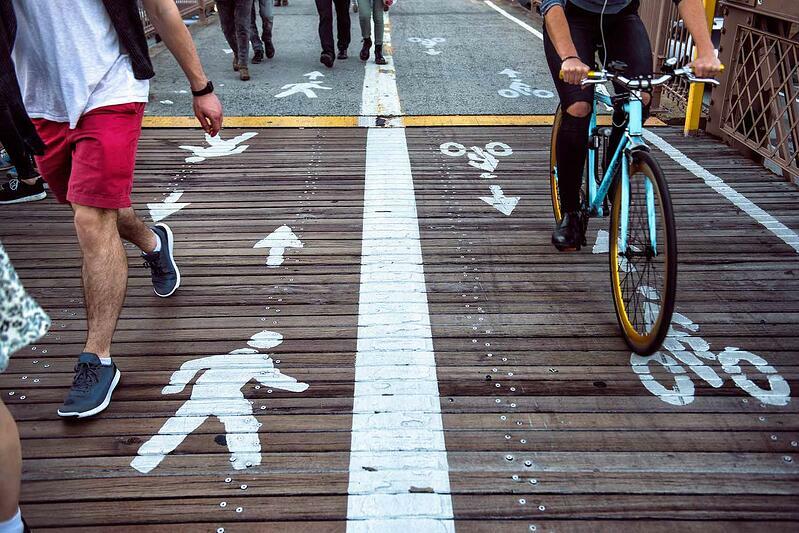 Baseline pedestrian movement data will help them effectively allocate funding, plan council activities such as roadworks and improve the area’s economic and social character. Solution: SAGE is proposing a monitoring solution and reporting dashboard that allows the council to scrutinise the data as they wish, while maintaining full ownership of the data and its security. Passive detection stations collect data, and present it via a user-friendly web-based dashboard. These stations are also used by the transport sector to count and monitor traffic data under the Addinsight traffic intelligence system. This is a great example of how IoT solutions have applications across multiple industries. Outcome: The council will be able to allocate optimal resources and provide better services to their constituents. The initiative will eventually extend to predicting pedestrian flow during events and ensuring the appropriate services are in place. Technologies: Addinsight Bluetooth and WiFi capture stations, cellular connections (3G/ 4G), stand-alone solar powered units, Microsoft Azure cloud-based platform. Challenge: Recycling depots have for many years experienced problems including long wait times for customers, theft and poor count accuracy due to manual counting and sorting. 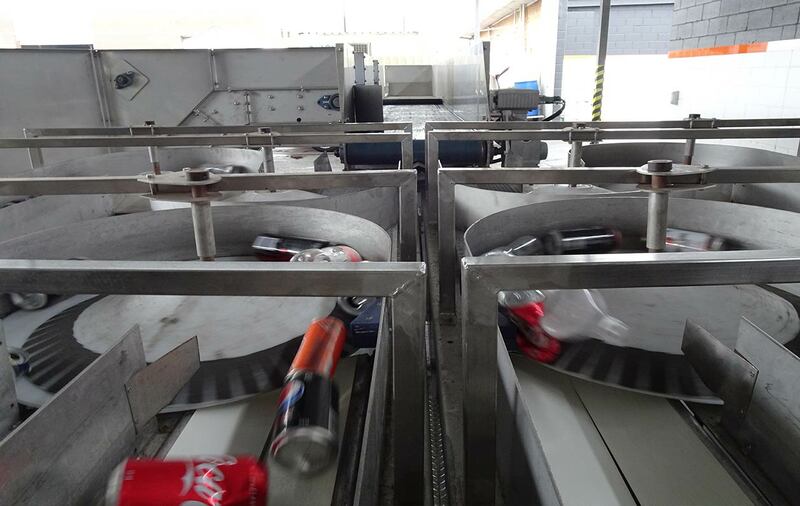 Plus, technology alternatives to the manual counting method have been limited; the European-made reverse vending machines on the market only accept and scan containers with intact barcodes – and one at a time. Anything slightly damaged or with no label cannot be refunded and accurate reporting remains a challenge. CDS sought out a smarter solution. Solution: CDSA enlisted SAGE and sister company Nukon (with help from researchers at UniSA) to develop four ‘smart’ container returns and refund systems. The solutions automatically sort, identify and count container types (even if they're crushed) using a smart vision system powered by machine learning. Container data is sent to the cloud for a faster processing and customer refund process, as well as historical reporting and greater probity of information across multiple sites, making it a true IoT solution. Outcome: Combinations of the vision technology, sorting system and/or IoT data network are able to bring facilities faster and more accurate quality processes and data probity, at low implementation and operating costs.The solution has also won Best Industrial IoT Application at the 2018 Endeavour Awards, and 2018 Design Innovation of the Year Award at the 2018 Packaging & Processing Innovation & Design Awards..
Technologies: Single-Board Computers, Amazon Web Services (AWS) and Encryption, Beckhoff control and NORD drives. It is this data – and the relative ease at which it is attainable – that presents the true value of the IoT. If you'd like to learn more about how you can begin, one of our experts would be happy to chat with you. Simply fill in the form below or contact one of our offices to begin.